In this post, I’m going to show you 7 of the most powerful, digital marketing courses that I’ve personally bought, tried, and experienced massive returns from. I’m also going to let you in on one of the most powerful secrets to digital marketing that helped me to revolutionize my own business. 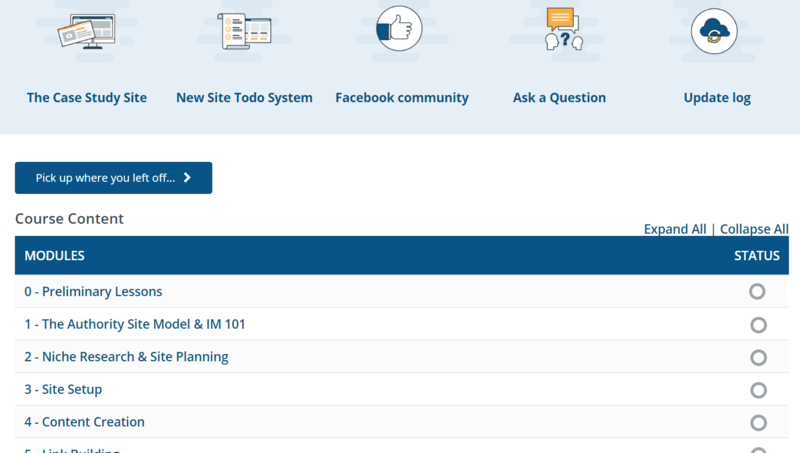 What does it mean when you go over 100 different digital marketing courses being offered online, but only select 7 of them to talk about on your blog post? It means that there are a lot of overpriced courses being promoted by shady affiliate marketers! You want to make $10,000 a month, and more… right? Good. I can help. But you are going to defeat yourself before you even start if you pick up a shady, gimmicky digital marketing course and try to learn from it. Do you want to avoid this problem? Do you want to start the right way, and get on the path that will earn you $10,000 or more every month? I certainly don’t want you to get duped by scammers. And I don’t want anyone spending THOUSANDS of dollars on courses that aren’t going to be useful or worth the money. It’s a messy world out there, and it’s full of fake gurus who will try to prey on you for easy cash. The truth is that you have to be smarter than the average digital marketing noob to make it in today’s digital marketing wilderness. And if you want results, you’re going to have to go to the people who actually know what they’re talking about. Yes, it’s sad that I only have 7 courses out of hundreds to show you. But that just goes to show you how bad so many of these courses are! If you really want to make money in this business, you have to know what you’re doing. But in order to know what you’re doing, you have to learn from someone. Preferably, you will learn from an expert who has already succeeded. But in order to learn from experts, you need to invest your time, money, and energy into their teaching materials. 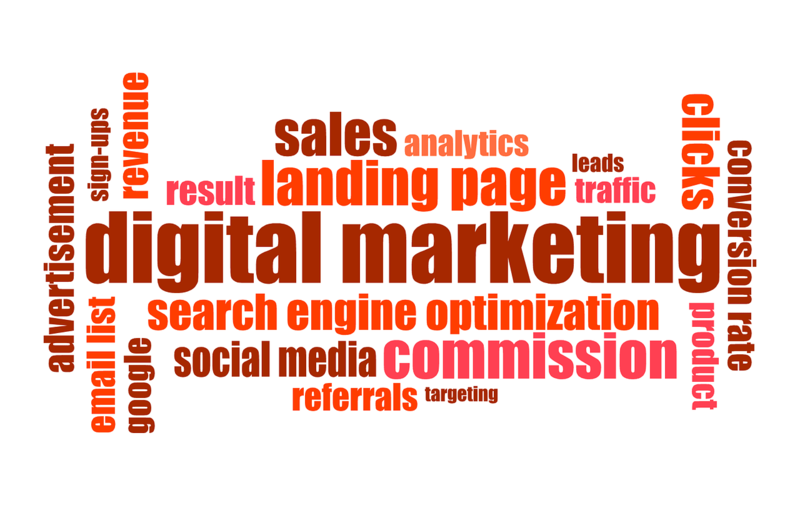 And in this particular case, that means buying a quality digital marketing course. Of course, you’re going to have to do the work if you want to see results. At the end of the day, no amount of education is going to be enough if you aren’t willing to take what you’ve learned and apply yourself to implementing it. So the next question, then, is this; which courses can you actually learn from? Which ones will help you to build, manage, and secure a footing in your own digital marketing business? I’ve already answered these questions for myself, and am now passing my findings on to you. Here’s what you need to know. Email marketing is a CORE asset to a successful digital business. In a recent audit we ran on our own business, Melanie learned that she had over 1,300,000 emails opened within the last 90 days! I learned that I had also had about 150,000 emails opened in the same time period. But this is only where it starts. I did a full review of this course on my YouTube channel. You can take a look at the inside of the course here. These are amazing, powerful moments of ATTENTION. When your audience opens those emails, they can look at your products and find out what you have to offer. But there is also a big question to ask before you even get started with email marketing. What exactly do you send to the people on your email list? What do you write in those emails? How do you put together the perfect email response letter? Autoresponder Alchemy solves this problem with a complete library of video trainings. It also packs in over 80 email marketing templates that have proven themselves by generating millions of dollars in profits! This course is super powerful, for so many reasons. They let you choose templates, modify them with your own story, and send them on to your customers. This course truly is an unknown GEM in a sea of over-hyped info products, and those who get access to it first will be able to DOMINATE their market via email marketing. I have, in fact, personally tried this course myself. I bought it with my own money, opened it up, and tried it out. And i can tell you with complete certainty that it WORKS! Are you noticing a pattern? The top two courses on my list are actually a lot more than just courses. Yes, you need to learn how to market and write copy. But you also need to be able to get into the game fast. You need results, and you need them sooner rather than later! Well, templates can REALLY help with that… and this is another course that provides awesome templates that will help you to seriously level-up your digital marketing business! This course was designed for digital marketers who sell products. It doesn’t matter what kinds of products you are selling. You can be selling physical products, online coaching, a membership, a newsletter, a video course, e-books, etc. The point is that IF you are selling something, this course can work for you! At one point in my business, I spent over $12,000 on copywriting from a ‘pro’ that completely sucked! It took six months for me to realize that it just wasn’t working. The 60-Minute Copy, on the other hand, helped me to crank out my last sales letter on my own in just a few days. It only took a couple of hours each day, and has already generated 5X THE COST OF THE COURSE, in just 3 emails! Here is a YouTube review I made of the course. This will give you a look around, and show you how I used it to create the letter. 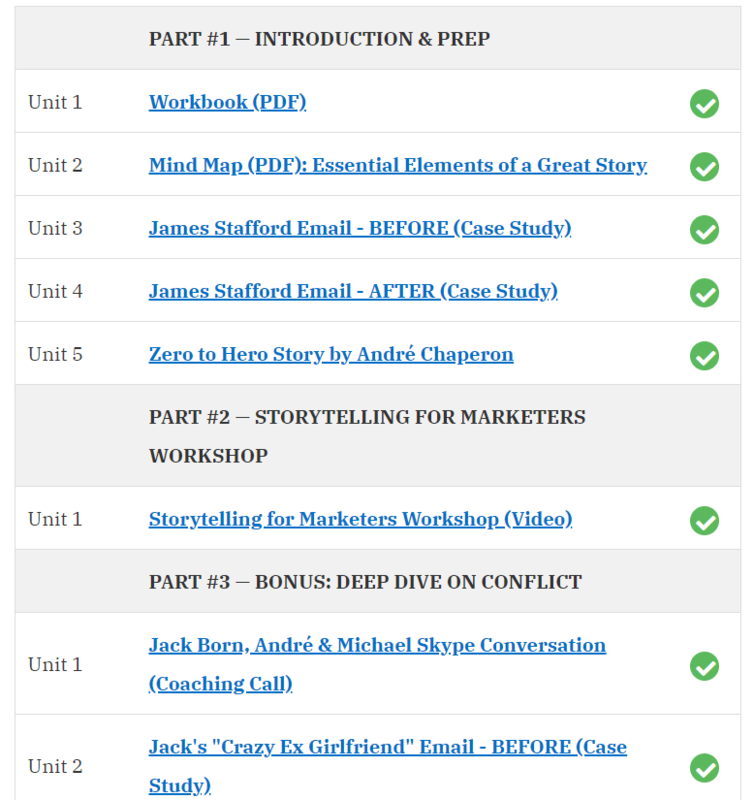 Most copywriting courses cost thousands upon thousands of dollars. But this one is actually really reasonable. Plus, it really works! 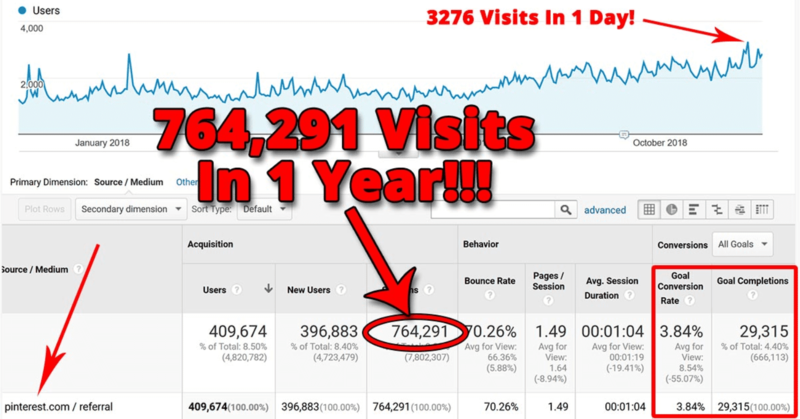 How would your online business be doing with an extra 764,000+ organic website visits and 29,315 opt ins in the next year? It might sound like a lot, but that is exactly what Pinterest delivered for my wife's site last year! Pinterest is our #1 source of social media traffic, and it’s CRUSHING Facebook and Instagram! The best part is that, unbeknownst to many, Pinterest users tend to not only be wealthy, but also tend to buy things! This is actually one of my favorite traffic sources, and Pinning Perfect is a course that helped me to seriously level it up! Notice in the graph how it shoots upwards around July? That is when we took the course and began implementing her strategy. This course definitely changed the way we did things on Pinterest. But as a result, our reach, engagement, and traffic are growing by massive amounts month after month! If you want to learn how to get massive traffic from Pinterest, then this course is definitely going to be a good investment. You can click here to grab it. Another HUGE benefit to this course is that pretty much everything it teaches is outsourceable. Our virtual assistants and designers in the Philippines do a lot of the work on this strategy for us, which is pretty awesome! Authority Site System pretty much teaches the exact process that my wife and I used to build our website, attract an audience, and build an income for ourselves… from the ground up! If you’re on a tight budget and just getting started, this step-by-step guide to making money online as an affiliate is the way to go. You can even use the exact same course to turn your business into a product creator or membership program as well. This course was designed by the Authority Hacker Team. They are trustworthy experts who leverage these exact same techniques in multiple verticals, including health and wellness, the golf niche, and others. They aren’t just teaching ideas, either. They are actually teaching you exactly what works and what to do… in an organized, step by step fashion. As a bonus, you also get access to their Facebook group for ongoing advice and support. This is extremely helpful as you move through the course modules, as their team is super-knowledgeable and can help you to navigate any difficult spots you may find yourself in. This is also a great way to stay motivated as you learn and grow your business. I personally have access to not just this product, but also to their more advanced pro-level course… and I’ve received a tremendous amount of value from it. They really helped me to dial-in my gameplan for video content, but also helped me to leverage my blog so that it is now getting 1,000% more traffic than it was before. You can start by watching the free webinar, which looks at a ‘The Authority Site System’ case study, by studying this course. This is a marketing course that teaches you how to use the power of storytelling in your digital marketing business. Nowhere is the power of the ‘story’ more evident than in Hollywood. Michael Hague is a professional script consultant who helps the biggest names work on the biggest movies in Hollywood. He coaches screenwriters, producers, stars, and directors on how to make their stories and characters more engaging for the viewers. When Will Smith wasn't satisfied with how the new Karate Kid script didn't tug at the audience's heartstrings... He called Michael Hague! And the subsequent changes made the movie an absolute HIT! A few years ago, Michael was discovered by a handful of internet marketers and was brought into some high-end marketing seminars to coach entrepreneurs on how to leverage the power of ‘storytelling’ in marketing. From here, Andre Chaperon started hiring Michael Hague for coaching on his autoresponder sequences. Shortly thereafter, Andre and Michael did a paid webinar together that completely changed my perspective on marketing and storytelling. I had always heard people say that 'stories sell,’ but Story-Powered Marketing was the first course to show me a real formula to follow. Since I’ve started using it, it has revolutionized my business. I now incorporate it into my videos, blog posts, emails, and autoresponders. It isn’t necessarily a requirement to go through the Autoresponder Madness course before this one... though I have received a lot of value from both. This is actually a fantastic stand-alone course, mostly for the fact that you can learn to use these techniques in every type of marketing and copywriting you do. It is good for everything… not just autoresponders. If there was a 'secret weapon' for some of the best marketers out there, it would be effective storytelling. And you can learn how to become a great storyteller here. Russell Brunson is a great marketer, in every sense of the word. But I believe that one of his greatest contributions to the marketing world is his Perfect Webinar system (along with the scripts that come with it). For anyone doing webinars, this is the 'must have' course that will lay out a very specific script, setup, and closing. It will also help you to create incredible conversions on live webinars. I have recently purchased this course and am currently studying it. My wife and I both plan on doing webinars in the near future, so we’ve been very pumped to get this going. I have some good friends in several different niches who are also using this exact same system and script… and the results have been awesome! Webinars are best for selling products valued in the range of $300 to $1,000. 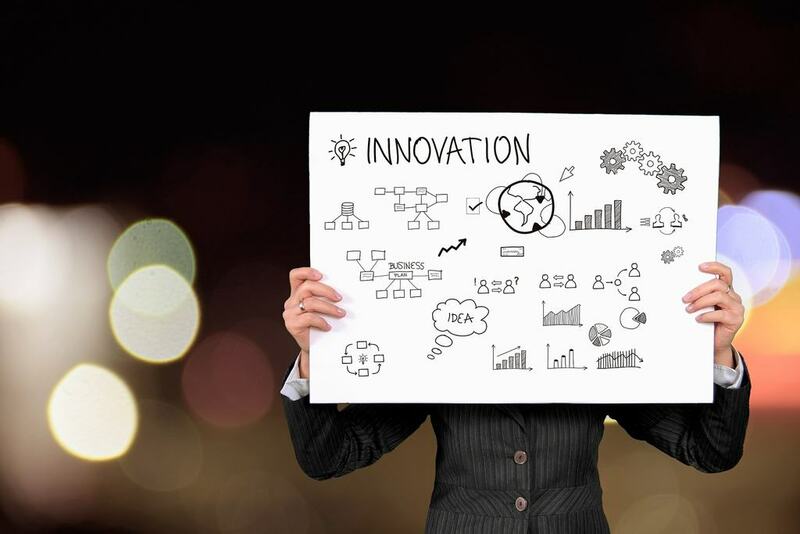 They are one of the ‘better modern ideas’ as far as internet marketing is concerned, mostly because they combine the power of platform selling with the ease of the internet. When you put these together, you end up with a powerful experience for visitors… and powerful experiences tend to create significantly higher conversion rates than traditional sales letters or video sales letters. One of my favorite features of The Perfect Webinar is the comments section. I love how it gives you the ability to read feedback, tweak your approach, handle objections, and adjust the product as needed. This all happens in real time as well, further helping you to increase conversions. It is simply amazing! You can learn more about how to run profitable webinars here. Yes, it's a book… not a typical marketing course. But… within this book, you will find the secret to creating a successful personal brand, broken down for you in such a clear and concise manner that it will actually read just like a course. Remember when I told you that I had a powerful secret to digital marketing, and that I was going to share it with you in this article? Expert Secrets will show you how to begin the process of creating a successful personal brand. Yes, marketing courses will work. But if you don’t build a personal brand, you will constantly be fighting an uphill battle. 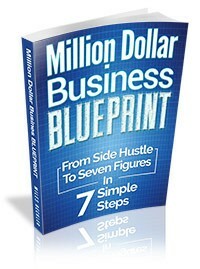 This book will absolutely revolutionize your internet marketing game. Plus, you can get it now for free. All you have to do is pay shipping and handling, which is awesome! Believe it or not, your message has the ability to change someone’s life. Your message is actually desperately needed in the world, and there is a tribe of people just like you who need your guidance to help them solve their problems. This is what true personal brand internet marketing is all about. You use your knowledge to help people and make the world a better place. And when you learn to do it effectively… you will absolutely find success along the way as well! Your message matters, and this book is the figurative tap on the shoulder that will help you to find it and prepare for it. If you want to win at digital marketing, you need to set yourself up for some education, training, and real-world application. You have to get busy with one of these highly recommended digital marketing courses, put what you’ve learned into practice, and stay the course until your business takes off. You can absolutely go from zero to hero, but it will require dedication and commitment! Let me know if you have any questions about these courses. If you need any help, I’m just a ping away. Hit that comment button and let’s chat!